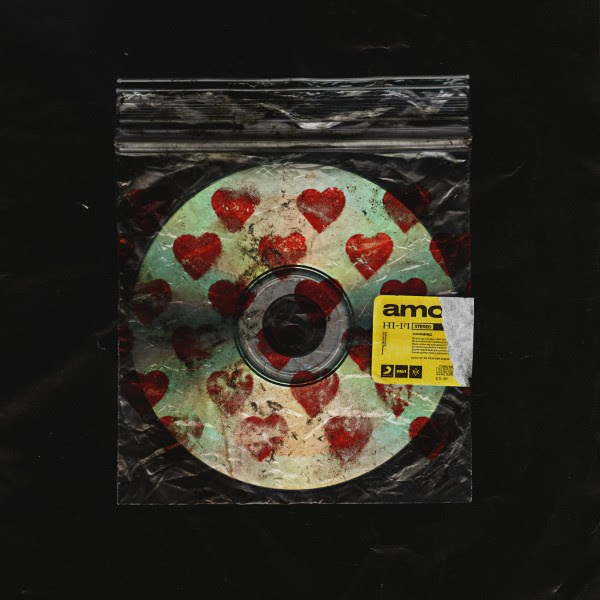 Billboard called BRING ME THE HORIZON’s ‘amo’ “one of the most anticipated albums of 2019,” Forbes said that it’s “perhaps the first major rock release of the year” and NME described the album as “bold, brilliant and boundary-pushing.” With only three days to go before the album’s arrival, the GRAMMY nominated quintet is giving fans one more sneak preview with today’s release of mother tongue, which was just featured as Zane Lowe’s World Record on Apple Music’s Beats 1 – click HERE to listen. Hailed by Noisey for “being ahead of their time and evolving a genre,” BRING ME THE HORIZON have been teasing amo for the past several weeks, beginning with Mantra which has over 28 million Spotify streams, 14 million YouTube views, and earned the multi-platinum-selling UK act its first-ever Grammy nomination for “Best Rock Song.” Then came Wonderful Life (ft Dani Filth), with close to 10 million Spotify streams and about to hit 9 million YouTube views and most recently, Medicine, which quickly amassed over 5 million YouTube streams and was added to 37 of Spotify’s New Music Friday playlists. Over the weekend BRING ME THE HORIZON launched a mixed reality initiative with Landmark, giving fans the chance to go to hotspots in their city to unlock exclusive content that delves further into the ‘amo’ music, its theme and the visual artwork. The exclusive content the fans can unlock includes video teasers, lyric photos from the artwork and more. There are 100 locations around the world with hotspots and updated content added daily. Head to BMTHamo.com for the Landmark Experience. The band kick off their North American headline tour this week, followed by shows in South America, Australia and a plethora of festivals around the world. BRING ME THE HORIZON are one of the most electrifying and successful rock bands to emerge from the UK, selling over 4 million albums globally to date, playing sold-out shows in over 40 countries, including two sold out nights at London’s O2 plus wowing a traditionally non-rock crowd at Glastonbury Festival in 2016. They just completed a sold-out UK tour in November and you can see them performing “wonderful life” to a packed-house arena crowd by clicking HERE. 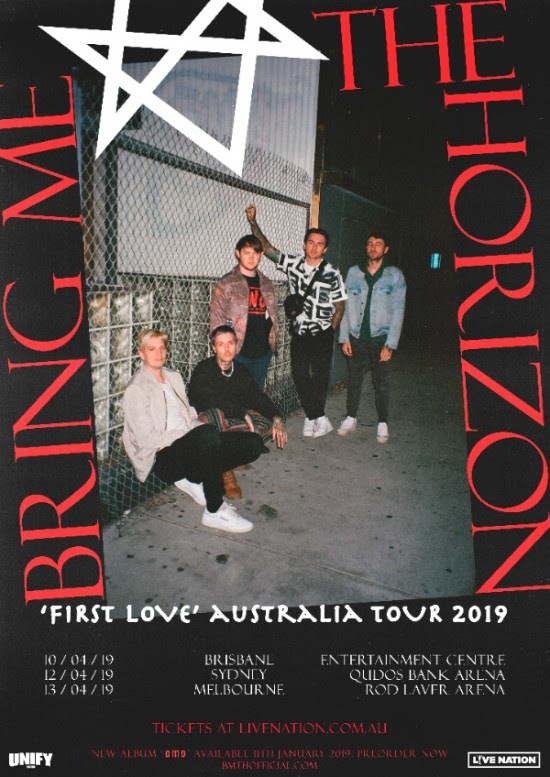 Those who pre-order amo from JB Hi-Fi have the opportunity to win a double pass ticket to see Bring Me The Horizon live at one of their performances on their East Coast Australian tour in April 2019 + a meet and greet with Bring Me The Horizon for the winner and their guest. 09. why you gotta kick me when i’m down?